SCP-2846-B during an engagement with SCP-2846-A. The pursuant SCPS Pristine visible in the background. Special Containment Procedures: Mobile Task Force Tau-11 "Can Openers" onboard the SCPS Pristine SCPS Nikolai are to maintain a perimeter around active SCP-2846 activation areas. In the event of an SCP-2846-A appearance event, MTF T-11 is to utilize the Kensington-Berryman high-power transmitting device to communicate with SCP-2846-B, and then to maintain contact with SCP-2846-B throughout the engagement. MTF T-11's primary goal is to minimize civilian contact with SCP-2846-A and SCP-2846-B. Sailing vessels which come in contact with either entity are to be arrested and moved away from the area by SCPS Pristine SCPS Nikolai support vessels. MTF T-11 personnel are required to apply Class-C amnestics to any personnel aboard any affected vessels, regardless of their knowledge of SCP-2846-A and -B. The acting captain of SCPS Pristine SCPS Nikolai has been supplied full clearance to open fire on SCP-2846-A at the request of SCP-2846-B, and also to prevent SCP-2846-A from approaching any civilian vessels. Additionally, in the event of hostile action by SCP-2846-B on any civilian or Foundation vessel, the tactical nuclear explosive device is to be detonated. Description: SCP-2846 collectively refers to a set of phenomenon occurring within the Gulf-Atlantic region of the Atlantic Ocean. SCP-2846-A is a massive, aquatic, octopoid entity1, currently estimated to be at least 955-990m in length. This entity is known to appear from deep water during storms within the Gulf-Atlantic region and attack civilian vessels, specifically cruise liners or merchant ships. SCP-2846-A attacking a civilian cruise vessel. Footage recovered and removed from a Knights of Truth website. SCP-2846-A attacks are sporadic, and often occur quickly and without prior warning. Foundation assets in the Gulf-Atlantic region have utilized United States Navy deep-sea radar wells to more accurately detect the appearance of SCP-2846-A, though this has only provided, on average, an additional 5 minutes of preparation. SCP-2846-B is a large seafaring vessel that appears during SCP-2846-A appearance events. 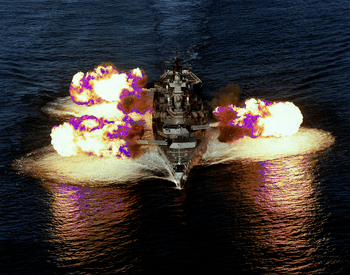 This vessel, which appears to be a Pennsylvania-Class super-dreadnought battleship2, also appears from deep water before surfacing at the location of an SCP-2846-A appearance event. This vessel is always seen engaging SCP-2846-A, which will then in turn retaliate, and neither entity will disappear until SCP-2846-A is sufficiently crippled or otherwise incapacitated, after which both will submerge again until the next appearance event. The vessel appears hazy in video or photographs, and individuals have described it as "vaporous". Notably, propellant fire emitted by the onboard armaments of SCP-2846-B have a significant green tint. Individual entities that appear as the crew of SCP-2846-B are designated SCP-2846-B1-915. [Translated to English] Now I will tell you that there are two sea-monsters. One is called the hafgufa (sea-mist), another lyngbakr (heather-back). It (the lyngbakr) is the largest whale in the world, but the hafgufa is the hugest monster in the sea. It is the nature of this creature to swallow men and ships, and even whales and everything else within reach. I have seen on this day a most magnificent sight; a creature, larger than our own vessel by three times, rising from the depths of the sea with a whale wrapped within its long tentacles… behind it came another vessel, a ship-of-the-line with black flags and billowing smoke in its wake. We signalled the crew, but the vessel had returned to beneath the waves before we could properly communicate. On 05/07/1935, SCP-2846-B surfaced without warning near the position of the SCPS Hildegard and hailed them. The ships were brought near, and SCP-2846-B1 came onto the deck of the Hildegard and spoke with Captain Levi Hanson. That conversation was recorded by a transcriber, and appears below. Cpt. Hanson: Alright, I need your name for the log first, if that's OK.
SCP-2846-B1: Of course. David Thomas Jones, of His Majesty's Royal Navy. Cpt. Hanson: And you're aware of your…? SCP-2846-B1: Aye, we've had plenty of time to think on that. Cpt. Hanson: Fair enough. What brings you aboard here? SCP-2846-B1: I suppose I should explain a few things briefly, if you don't mind. The story is long, but I'll try to be concise. SCP-2846-B1: Myself and my ship were commissioned by the King to pursue and kill a creature that had appeared in the American gulf and was attacking merchant ships returning to England. This was, at the time, the extent of my knowledge about the target. We set sail for Havana in 1685, and arrived there in the fall. We spent the better part of the season hunting the creature, which at that point we believed to be some kind of whale, before we finally engaged the creature. Cpt. Hanson: You're referring to the SCP-2846-A entity? SCP-2846-B1: The squid, aye. We were poorly prepared for the creature. The Dutchman was armed with eighty-five guns, twenty harpoon cannons, a crew of nearly two-hundred fifty men, and we were still overtaken by the demon in a single night. By the hand of the monster, we were all pulled into the sea. Cpt. Hanson: How did you reach your current state? SCP-2846-B1: As we sank, I could feel my body grow cold and felt the frigid hands of the deep grasping out for me. I… cannot say how long it was, maybe an hour, a few minutes, a year, but I remember awakening on a dark shore. I thought at first that we had been washed ashore, but… my injuries had disappeared. SCP-2846-B1: I cannot say for how long I walked that dark shore. I knew from the tales that it was surely the locker of the deep, where the souls of sailors go when the sea does not release them. I must have walked for a thousand years, each day longer than the last, until one day I met a woman on the beach. Cpt. Hanson: Can you describe this woman? SCP-2846-B1: Aye. She was dark-skinned, and her dark hair fell down to the ground below us. I asked her name, and begged her for water. She told me her name was Calypso, and that she would quench my thirst. She went into the water then, and returned with a pail of freshwater. I have never drank so feverishly as I did then, and all the while, the goddess spoke to me. SCP-2846-B1: Aye. Calypso told me that she was the goddess of the sea, protector of its depths, mother of the waves. She told me that, in eons past, she and the god Neptune had gone into the deep of the ocean where the leviathans had made their domain, and banished them into the pit of Tartarus that their father, Uranus, had once crawled out from. She said that Neptune had disappeared, and that only she was left to watch the pit, and that over time, the seal they had placed on it began to weaken. SCP-2846-B1: She said that one titan had escaped long ago. Iapetus was its name, and it had come forth in a great rage, taking the form of a most malevolent sea creature. This is the creature you call SCP-2846-A. Cpt. Hanson: I see. Go on. SCP-2846-B1: Calypso then told me that she feared that the titans who had escaped would return to Tartarus after gathering their strength, and attempt to pry loose the foundation of that place and free their siblings. "This cannot happen," she said to me, "that these old gods would be loosed, it would mean the end of mankind." I asked her what debt she owed to men, and she said that the affairs of the gods and titans were never meant to intersect with those of men, but in their arrogance they build Tartarus on Earth, endangering the lives of every human on Earth. SCP-2846-B1: She asked that I pursue Iapetus, and that I keep the demon occupied while she appeals to the gods for aid. In exchange, she said, I would have immortality. I did not consider it then, I thought only of walking that dark shore, and so I agreed. The next I knew, I was back onboard the Flying Dutchman, with my crew with me. Cpt. Hanson: This is all very well, but that still does not answer why you hailed us today. SCP-2846-B1: I have hunted the beast for many long years, Captain. I have gone to the ends of the Earth, and beyond, to strange and twisted shores, in pursuit of the demon. But the great squid has only grown larger, more powerful, more bold. My men and I cannot die, but many more can, and will. If we do not act, Iapetus will overpower us, and we will be lost. It has been a long time since I have spoken to Calypso, and have heard no word. Now, I must turn to you. Cpt. Hanson: What are you asking? SCP-2846-B1: Captain, I need a bigger boat. The USS Montana before being commandeered by Foundation personnel. 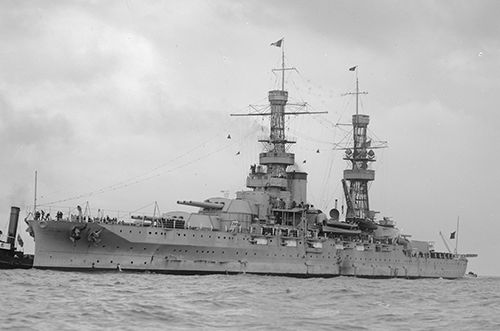 In the wake of the conversation between Captain Lyle Hanson and SCP-2846-B1, it was agreed that the Foundation would make allowance to commandeer a newly built Pennsylvania-class super-dreadnought battleship and turn the vessel over to SCP-2846-B1 and its crew. To this end, the USS Montana was taken from US Navy control and all records of its production were expunged3. 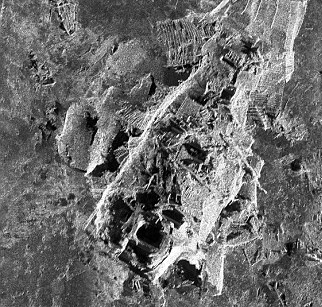 The vessel was sunk 15km from a Foundation naval facility in Cuba, and surfaced thirty hours later. SCP-2846-B is larger and more heavily armed than the Montana, but maintains indicating factors between the two. As part of the agreement between then Site-23 Director J. Calvin Coolidge and SCP-2846-B1, SCP-2846-B was fitted with a large incendiary device, capable of causing gross damage across the entire hull of SCP-2846-B. This has since been removed, and replaced with a tactical nuclear explosive device located within the engine bay of SCP-2846-B. This device was intended only as a deterrent against possible hostile action against civilian or Foundation vessels on the part of SCP-2846-B, but to date no such action has occurred. I don't know if you've gotten Williams' message yet, but we think we've found it. A depression at 27.438374, -56.173477, with some kind of huge iron thing sitting on top. It's buried under a ton of rock, which is why we hadn't been able to locate it yet. Last time the squid surfaced, we had the Pristine nail it with a really heavy-duty tracker. We had a submersible follow it for as long as they could, and then let the tracker do the rest. It stopped transmitting about 5 clicks out from that site, but sonar did the rest. Anyway, best we can tell is the squid keeps coming back here to move rock. Based on imaging of the surrounding area, it's been able to move most of it in the last hundred years or so, and it doesn't have much left to get through. Something else you need to know; there's something really big, and really hot underneath that thing. Like, over 4500K hot. No idea how it hasn't melted the cover, but the water increases in temperature dramatically as you get down there, and that plate is red hot. Either way, make sure your department is aware, and let me know what you decide to do. 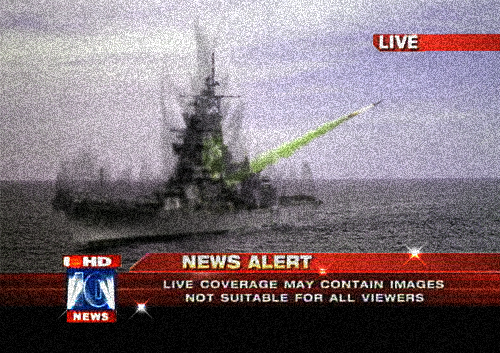 Expunged local news footage. A clear shot of SCP-2846-B is visible. At approximately 1800 hours on 09/17/2014, Foundation personnel onboard SCPS Pristine noted a fast moving, deep sea object beginning to surface. Captain Elliott McNair gave the order to alert SCP-2846-B, and began maneuvering towards the expected point of breach. The following logs were gathered post-incident by personnel on-board the SCPS Nikolai and SCPS Von Hindenburg. Investigation into the events detailed in these logs is ongoing. All personnel reported as deceased were given posthumous commendations for their service. 1756: SCPS Pristine begins pursuing large underwater organism en-route to Nassau. Heading is 175° due west. 1759: Comms radios to SCP-2846-B. Signal is received and retransmitted. 1805: SCP-2846-B surfaces near Pristine. Both vessels now in pursuit. 1808: SCPS Pristine is hit by a previously unseen force. Vessel is spun 25° counterclockwise. 1809: SCPS Pristine crew report seeing numerous eyes beneath the vessel that disappear rapidly. Damage is assessed, Pristine reverts to original course. 1810: SCP-2846-B radios that the entity is outpacing them. 1812: Comms radios to SCPS Nikolai and SCPS Ferdinand for assistance. 1813: SCPS Nikolai and SCPS Ferdinand respond, begin moving towards 24.972268, -76.016181 just off Eleuthera Island. 1818: SCPS Pristine once again struck by an unseen force. Sonar is damaged, tracking becomes sight-only. 1820: Foundation command radios to SCPS Pristine warning of a massive underwater entity directly below them, visible from satellite images. 1821: SCPS Pristine is struck again. Crew reports damage to starboard hull bearings. 1824: SCPS Pristine begins taking on water. 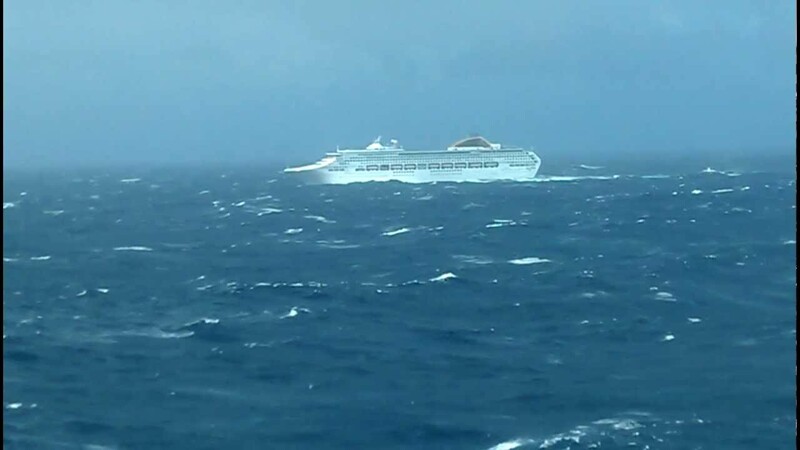 Crew reports seeing "countless eyes" floating below the ship. 1825: Gross damage reported across the hull. 1829: Evacuation order given. Lifeboats are scuttled. 1845: Foundation Command loses communications with SCPS Pristine. 1845: On-board nuclear device is confirmed to have activated. 1846: SCPS Pristine confirmed as lost. 1830: SCPS Nikolai receives word of evacuation order from SCPS Pristine. Ordered to hold position. 1839: Long distance telescopics confirm approach of SCP-2846-B. SCPS Nikolai and SCPS Ferdinand launch flares. 1840: Foundation personnel confirm evacuation efforts in Nassau. 1845: Crew reports explosion on the horizon. Foundation command confirms loss of SCPS Pristine. 1847: SCPS Nikolai directs main batteries towards the approaching underwater entity. 1849: Entity breaches. SCPS Nikolai radios to SCPS Ferdinand for confirmation. 1850: SCPS Ferdinand confirms; entity is not SCP-2846-A. 1851: Information is relayed to SCP-2846-B. SCP-2846-B submerges and changes heading. 1854: New entity is within firing range. Due to speed, size, and heading, Foundation command orders SCPS Nikolai and SCPS Ferdinand to open fire. Confirms SCPS Garrison is en route. 1855: SCPS Nikolai and SCPS Ferdinand open batteries at entity. 1900: SCPS Nikolai confirms entity is dispatched. 1903: Foundation command orders SCPS Nikolai, Ferdinand, and Garrison to move towards 27.438374, -56.173477 and rendezvous with SCP-2846-B. 1905: SCPS Nikolai and SCPS Ferdinand change heading towards 27.438374, -56.173477. 1913: SCP-2846-B radios confirmation of SCP-2846-A sighting. Entity is attempting to dislodge [DATA EXPUNGED] SCP-2846-B asks for assistance. 1914: SCPS Nikolai confirms heading, notes ETA. Foundation command confirms, relays orders to SCPS Von Hindenburg to assist SCP-2846-B. 1916: SCPS Nikolai receives new orders, changes heading to intersect with SCPS Pristine site. SCPS Ferdinand accompanies. 1952: SCPS Nikolai confirms destruction of SCPS Pristine, notes odd water coloration. 1955: SCPS Nikolai ordered to search for survivors. 1915: SCPS Von Hindenburg receives orders to engage SCP-2846-A. Red alert alarm raised. 1924: Armor plating is locked into position. On-board 10" cannons are armed. 1930: SCPS Von Hindenburg on-board computer alerts to temperature change in water. 1932: Underwater microphones detect distant rumbling sound. Foundation assets embedded in National Oceanic and Atmospheric Administration confirm sounds. 1935: SCPS Von Hindenburg long-range telescopics confirm approach of SCP-2846-B. 1937: Sonar detects presence of SCP-2846-A at a depth of 300m. 1945: SCP-2846-B surfaces. SCP-2846-A is entangled across SCP-2846-B. 1946: SCP-2846-B opens fire on SCP-2846-A. 1947: SCP-2846-A disentangles from SCP-2846-B, begins to dive. 1948: SCPS Von Hindenburg opens all batteries on SCP-2846-A. 1949: SCP-2846-B opens all batteries on SCP-2846-A. 2001: SCPS Von Hindenburg calls cease fire. 2012: SCP-2846-B confirms disappearance of SCP-2846-A. 2015: Foundation command orders SCPS Von Hindenburg to stand down. 2015: All clear alert given. 2023: SCP-2846-B surfaces, begins communication with SCPS Von Hindenburg. 2042: Order received, SCPS Von Hindenburg returns to dock. Officer's Note: The origin of the unknown entity that destroyed the SCPS Pristine, as well as the entity which was dispatched by the SCPS Nikolai and SCPS Ferdinand, is unknown. It has been noted that aside from all originating from deep water, the entities bear little resemblance to SCP-2846-A, and were markedly smaller in proportion. As we've known for some time, SCP-2846-A attacks civilian vessels to feed, presumably to gain the strength needed to continue clearing the area temporarily designated SCP-2846-C. On its own, SCP-2846-A is dangerous, but fairly straightforward to handle with the assistance of SCP-2846-B. However, multiple entities means multiple targets and multiple ships, and SCP-2846-B must be trained on SCP-2846-A at all times. With the loss of the SCPS Pristine, we are now down another warship. I have spoken to Captain Jones, who echoes these sentiments. All of this escalation seems to be building towards a head, and if we do not prepare now, we will likely be overwhelmed when that time comes. Because of this, I'm formally requesting a meeting with the Site Directors' Council to discuss means by which we might escalate in our own fashion. This must be the primary goal of the Foundation Atlantic Fleet. 1. Entity strongly resembles organisms in the class Cephalopoda, though no other organism within that class is known to reach such proportions. 2. Similar in style to those utilized by the United States Navy during the First World War. 3. Another USS Montana, a cruiser, was later commissioned and launched in 1941.